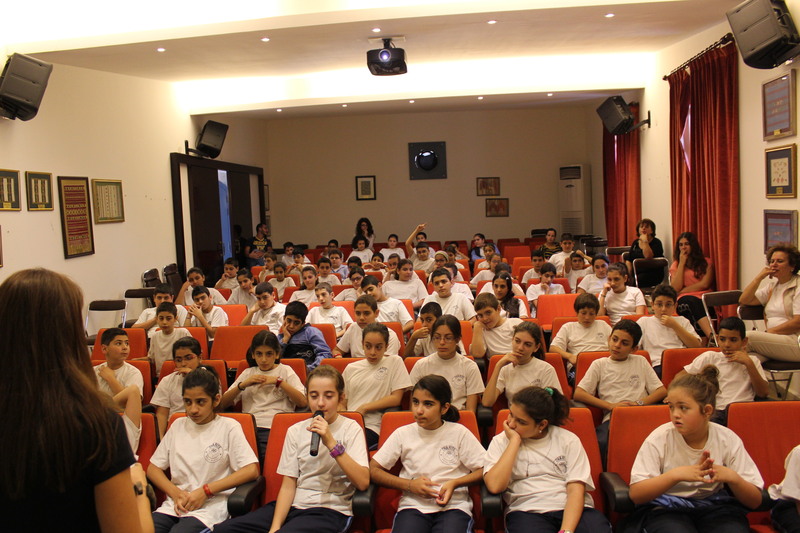 Zouk Mikael’s Youth and Culture Center received a series of film screenings for children and youth dubbed into Arabic through the – “Danish Youth Cinema on the Road – Lebanon 2012” from October 30 to November 2nd, organized by the Danish Embassy in Lebanon in collaboration with the Danish Film Institute and the Danish Institute in Damascus. This event, organized for the first time in Lebanon, aims to introduce the Danish culture to Lebanese children and youth through screenings and discussions with the audience. The movies revolve around social and educational topics which are of relevant to children and youth and directly related to their daily lives, problems and aspirations. The Danish films target children and youth from 6 till 18 years old and include animations, drama, short and long movies. More than 500 children and youth from the Kesserwan Schools took part in this event organized at Zouk Mikael and had heated and interesting discussions with Danish Embassy representatives.